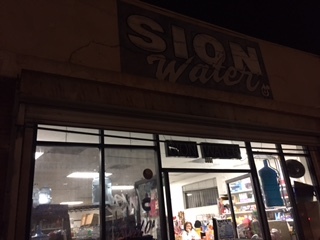 One Saturday evening I was strolling toward First, Gage and Ford Streets to a little store by the name of Sion Water. The day was so hot it felt as though the season skirted to summer. In spite of that, it was a short separation walk when I arrived; I was sweating practically as though I had ran a mile. The warmth was excessive to the point that I felt as though I was amidst an abandoned betray. Strolling to my destination I saw numerous youngsters dashing towards Obregon Park. As I was touching base to my goal I saw my East Los Angeles celebrity, she was helping a handicapped elderly carry her water gallon into her truck. As I watched her help the handicapped elderly, I offered my help and sympathetically helped the poor elderly women. Soon afterwards, I requested her authorization to meeting her for a school project and she generously acknowledged. I initially presented myself as she did the same, she gave me her name, Esperanza Lopez. She then revealed that she’s been working at Sion Water for 17 years. I then asked her a few questions. The first question being what did she think makes East Los Angeles special? I asked was how long have you been living in East Los Angeles and what lead you to come here? I later asked what were some challenges she has faced living in East Los Angeles. In addition I asked what she is most proud of. Last I asked if she liked working there and why. Lopez is a celebrity in East Los Angeles because she helps the community by having affordable prices and sometimes even giving out free gifts.